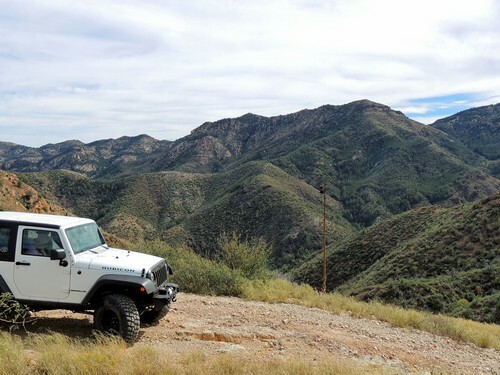 This is a scenic Jeep trail that rises above 5,000’ in the Superstition Mountains. There is a “marble mine” that produced calcium carbonate for a processing plant in Superior. 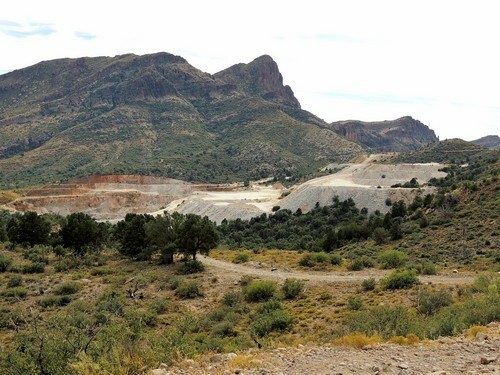 The mine has not been active since before 2010 (best guess). This trail was originally rated at 3.0 but as of late 2016 it should really be rated at 2.5. 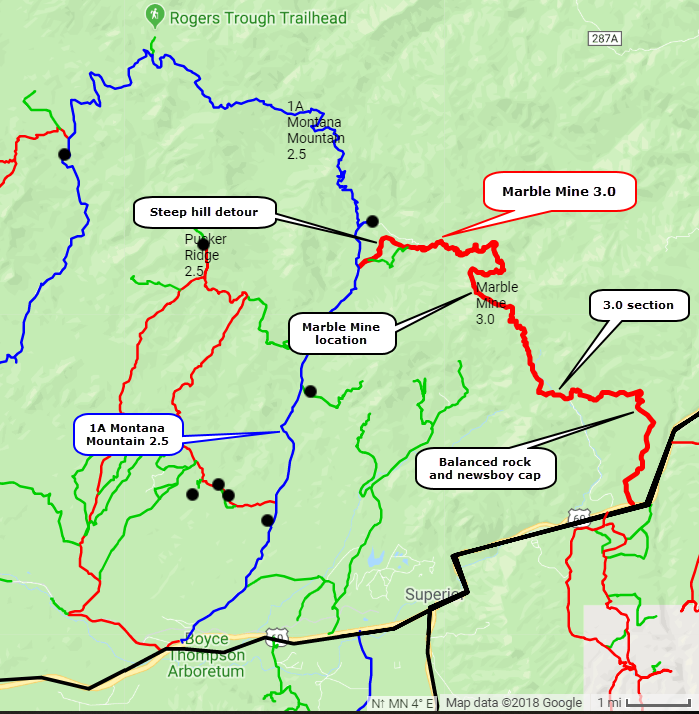 The eastern portion has some hills with ledges and boulder areas that pushed the rating up in the past. These have recently (2016) been covered with soil by a bulldozer and are now a strong 2.0. I am leaving the trail rated as 3.0 because I expect a few downpours will wash off the soil and the trail will return to 3.0. A short section on the western end of the trail is rated 2.5, and has been for years. 19 miles pavement to pavement. A short day. Start this run by going north up the east side of the Montana Mountain 2.5 trail. Download a track from that trail if you think it necessary. ​Watch the track closely as you leave the Montana Mountain loop because you will turn left off the main road in less than a quarter mile. 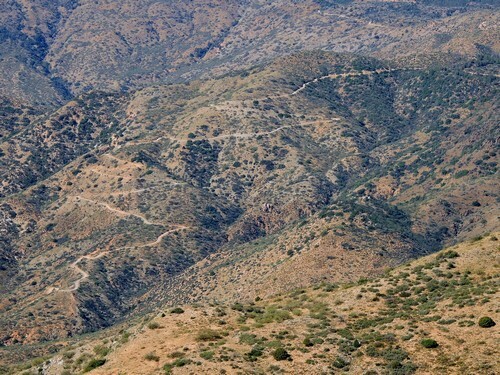 This detour takes you up a steep hill along a narrow ridgeline, and is a highlight of this trip. This is the portion rated 2.5. Most of the full run is a bumpy 2.0. 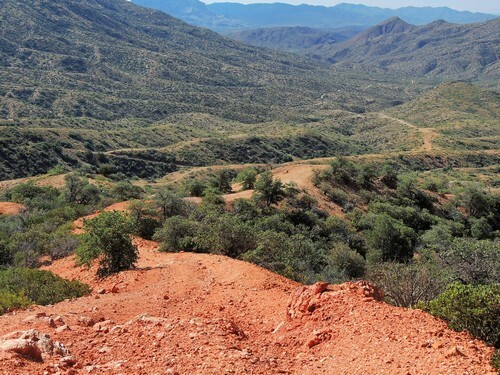 This detour soon returns to the main road, which wanders off through the rugged Superstition Mountains. The road stays high in the mountains, crossing from one side of the ridgeline to the other. This high country offers some nice views. 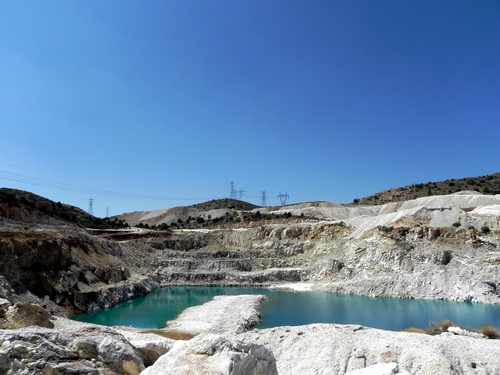 There is a nice overview of the Marble Mine as you start down from the high country. 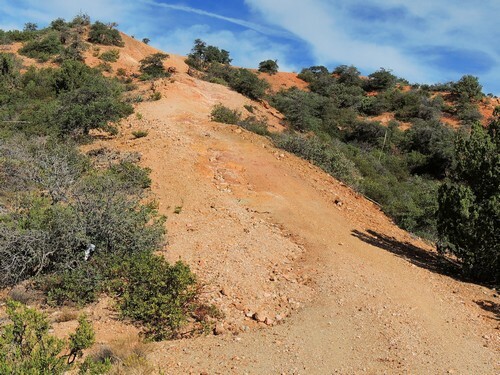 The Jeep trail comes out on a wide haul road just below the mine. Go down this until you come to a gate, then turn left on another Jeep trail. This is the section that was originally rated as 3.0. ​There is a very interesting pair of rocks along this section of the trail. 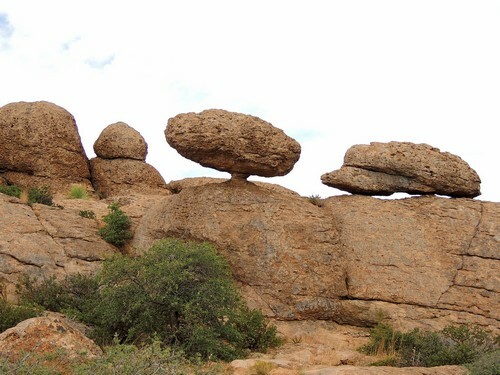 A balanced rock and one that looks like a newsboy cap.